Greetings, dear readers! I hope this post finds you well and your week has been off to a fabulous start! 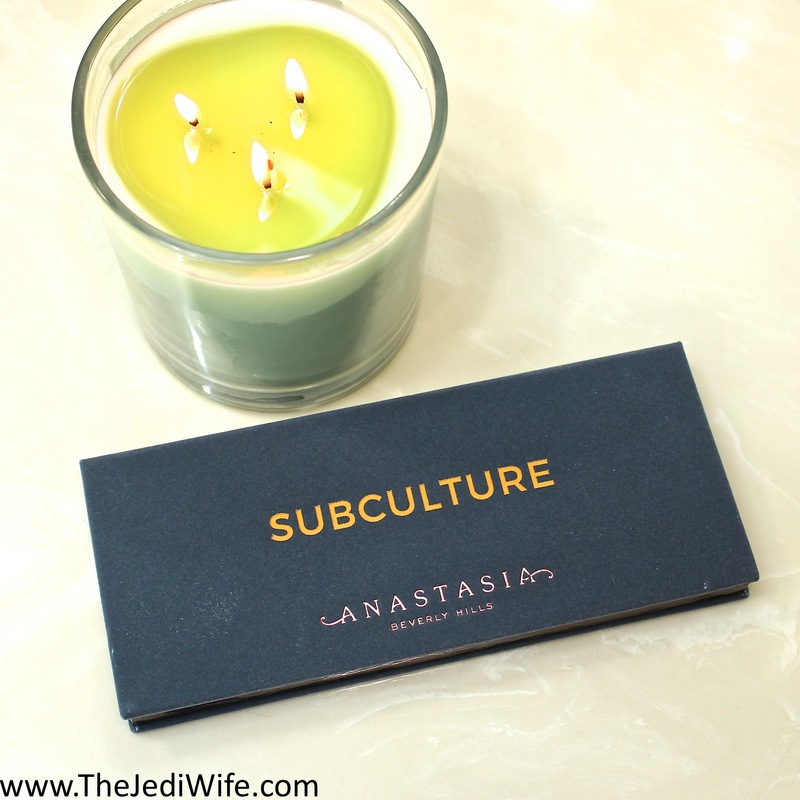 For today's blog post, I wanted to share with you the Anastasia Beverly Hills Subculture palette and new Matte Lipstick in the shade Rogue. I bought these products without a second thought at the launch on the ABH website, fighting the internet crowds and the crashing website alongside many others. 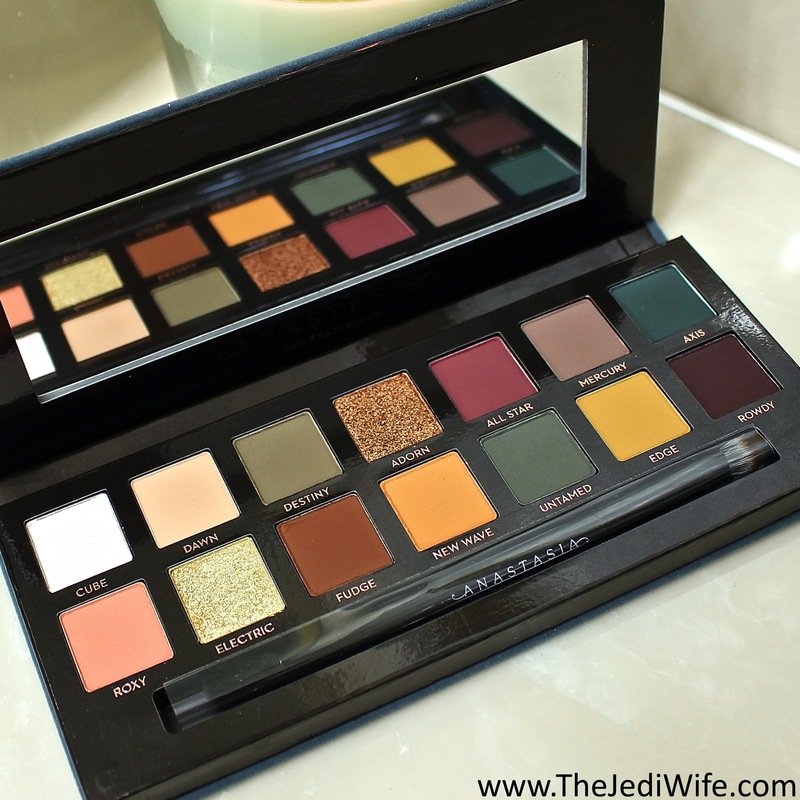 I had really loved the ABH products I had tried up to this point, and I even picked up a second palette to give away on my blog. When the sh*t hit the fan shortly afterwards with the negative reviews, I actually had a difficult time deciding whether or not I wanted to even post a review, let alone a giveaway, before I had my own palette in my hot manicured hands. After a lot of thought and testing, here I am writing this post and continuing with my giveaway as planned. If you want to see my eye looks and check out my thoughts on the palette, along with entering my giveaway to win one for yourself, please read on! Phew! I don't know that I've ever had to put so much thought into a blog intro before! Since I'm jumping in on this post, let's go ahead and dive into Subculture first. Photos of the Subculture palette were leaked on the Makeup Addiction subreddit three months ago by someone claiming to be a friend of an (assumed ex-)employee of ABH, so if we really want to be honest, this palette has been surrounded by drama since fans first knew of its existence. Besides the obvious "you're going to get your friend fired" type of response, the internet was aflutter with polarizing opinions by fans. Before it was released or even sent to the first reviewer, fans either loved or hated the colours in this palette. I personally loved the shades and couldn't wait to play with them upon the release. 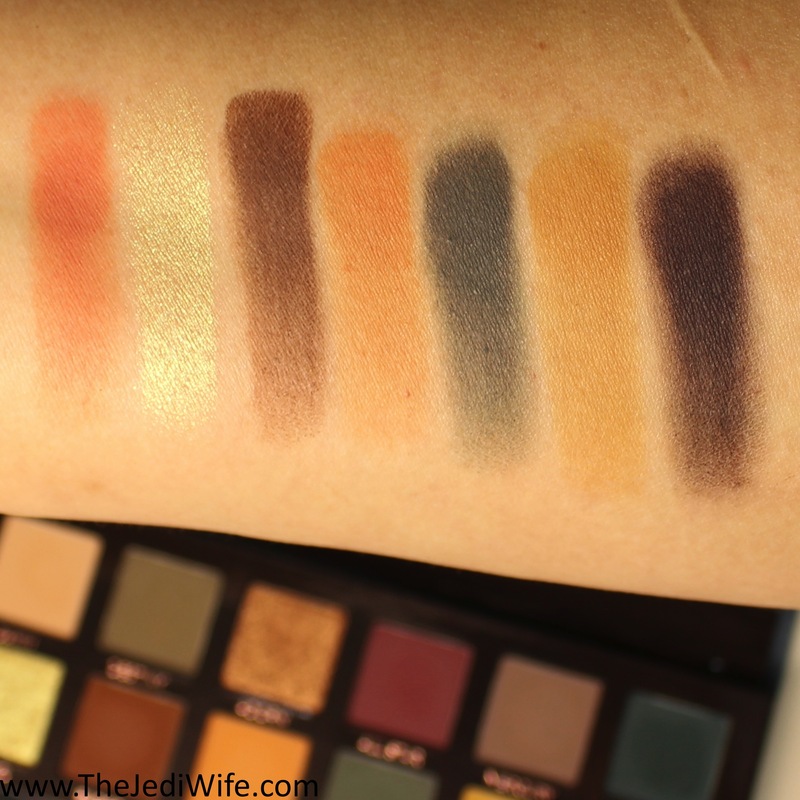 Please note all comments on this blog post are my opinion based on my experience with my specific palette. In the highly unlikely chance you haven't seen the Subculture Palette, this is what the inside looks like. There are 14 shades composed of grungy mattes and a handful of sparkling metallic hues. The Subculture Palette is reported to complement the Modern Renaissance Palette, a wildly popular palette released by Anastasia Beverly Hills last summer. Pictured below are my finger swatches of the shades in this palette along with a description of each as described by ABH. Cube appears in the pan as white with pink shimmer, but in application, it is more of a transparent powder with pink shimmer. This finger swatch included several passes into the pan in order to have a sufficient amount of colour show on my arm. Mercury may be described as a slate grey, but I personally found it to be more of a grungy purple-learning taupe. Dawn, Destiny, and Mercury feel soft and "cushy". Adorn feels even more cushy and almost wet even though it is not. All Star feels a little powdery to the touch from the get go and Axis feels even more powdery still. Axis is super incredibly ridiculously pigmented. If you've watched any of the YouTube videos by others that have used Axis in their eye looks, this is a very key feature of this particular shade. Electric isn't quite as pigmented as the pan leads you to believe although it does have nice colour. It is very firmly pressed into the pan, notably more so than the other shades in this palette. This feature makes is a little more difficult to pick up this particular shade for use although it can be built up easily. Roxy, Fudge, New Wave, Edge, and Rowdy all have a nice cushiness whenever I touch their respective pans. Untamed feels a little more powdery than the other shades in this row, but it isn't as noticeable as Axis or even All Star from the top row. 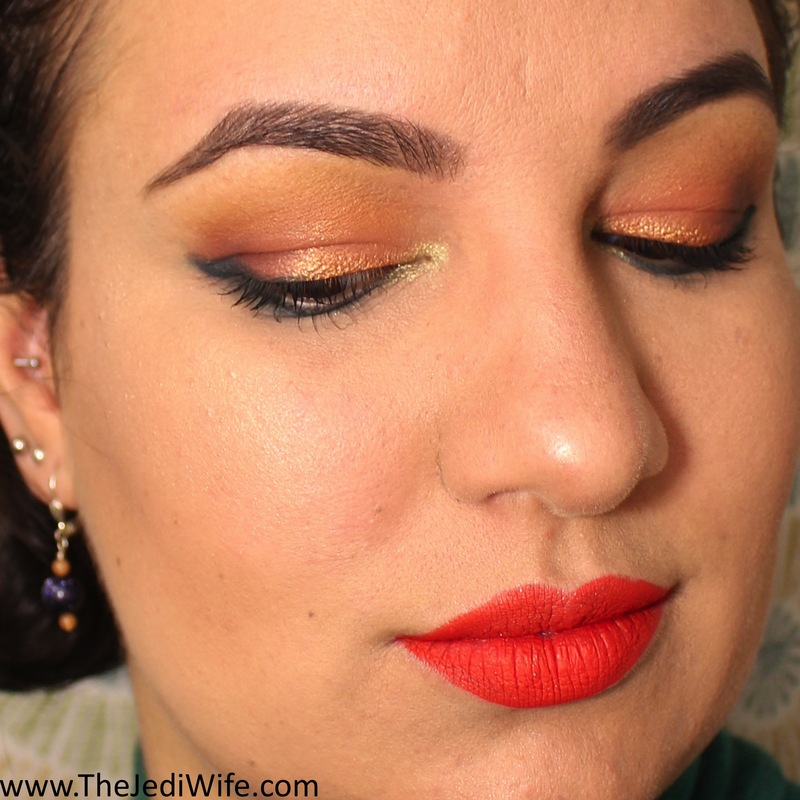 I played around with this palette and have three different looks I created with it for this post. I hope you enjoy them! Eye glitter glue may be one of your besties if you choose to use Cube or Electric. I dabbed a little on my eyelid to help Electric pop rather than building it up with multiple layers. I also carefully placed some on the inner corner of my eyes to help Cube show better without needing multiple passes. I also placed Cube on my brow bone without glitter glue so the pink shimmer is even more subtle. 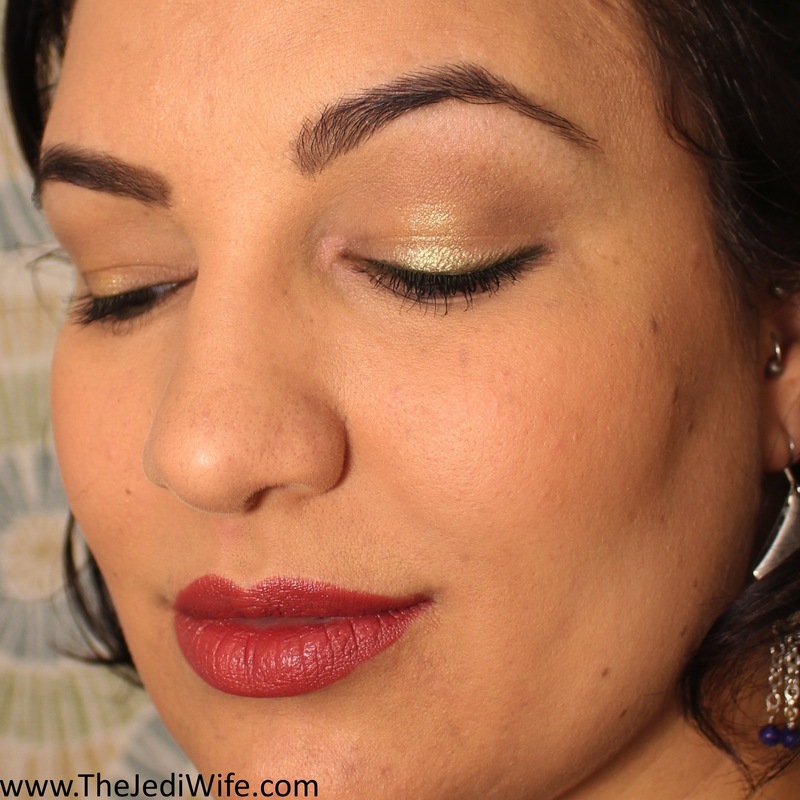 I completed my design by adding Olive When Pencil Met Gel eyeliner by Julep. I paired this eye look with a French Toast lipstick by Gerard Cosmetics. 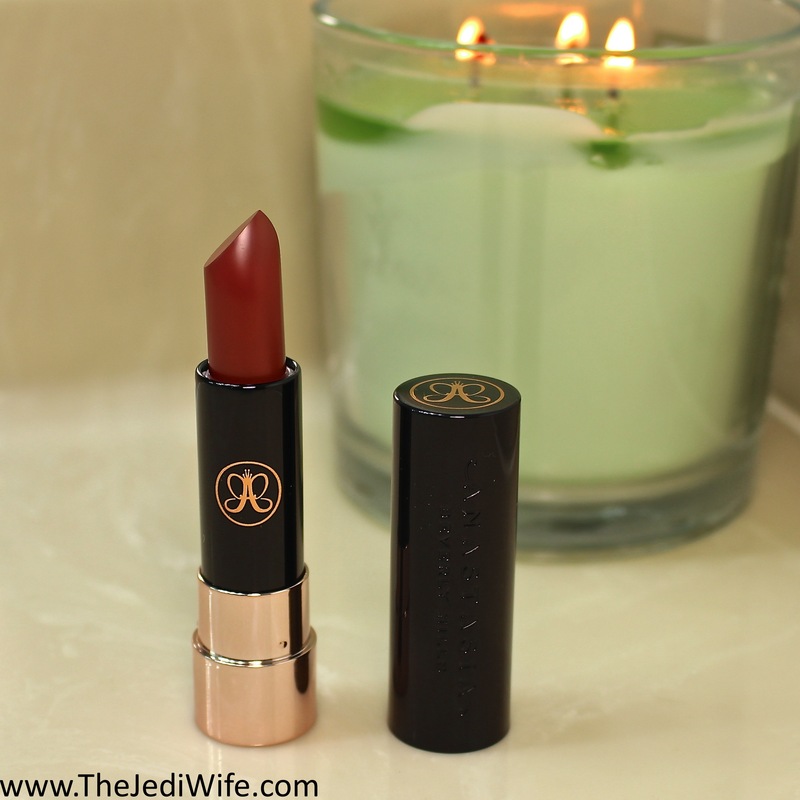 It is one of my favorite neutral lipstick shades so I just had to mention it in this post! This particular look is obviously a lighter and less intense use of the Subculture Palette, but some days I just want to look a little more bright-eyed and not as colourful. With so many vivid shades in the palette, I was happy to discover I could keep it looking more simple for the days I wanted just that. Axis is hella pigmented. Yes, I am aware I mentioned this previously, but if you don't take away anything else from this post (but I hope you do, of course! ), Axis requires a very light hand if you don't want to have your entire eye look taken over by blue-green. I actually had not planned to use so much Axis beyond a little under my eyes, but even a slight tap into the pan yielded so much pigment I just ran with it as my eyeliner. I do love the colour and plan to use it again. Whenever I want to use it again in small amounts in the future, I will actually be wiping my brush off on a clean hand towel to remove excess colour as I don't know if it's possible for me to touch the pan light enough to not end up with too much pigment. Again, I pulled out my glitter glue to make Electric pop in my design, this time at the inner corners of my eyes. I completed this look by adding a bright lip using Anastasia Beverly Hills Liquid Lipstick in Spicy. This is my favorite look from this blog post. It's colourful and fun, and in the end, I just felt beautiful! Patience is key. The lighter shades are a little more forgiving, but the darker hues are not. It is best to very lightly tap your brush into the shadow pans once for application and repeat to build up to a deeper shade if desired. The colour really sticks to the areas first touched by your eye brushes and doesn't blend out easily. Constant blending in areas can actually result in balder patches with little to no colour remaining on your lids. You can see some of this balding in the photo below on the left (technically my right eye, but your left looking at your screen). The bald spot is located on my eyelid just above my lashes where New Wave and Untamed are supposed to meet. 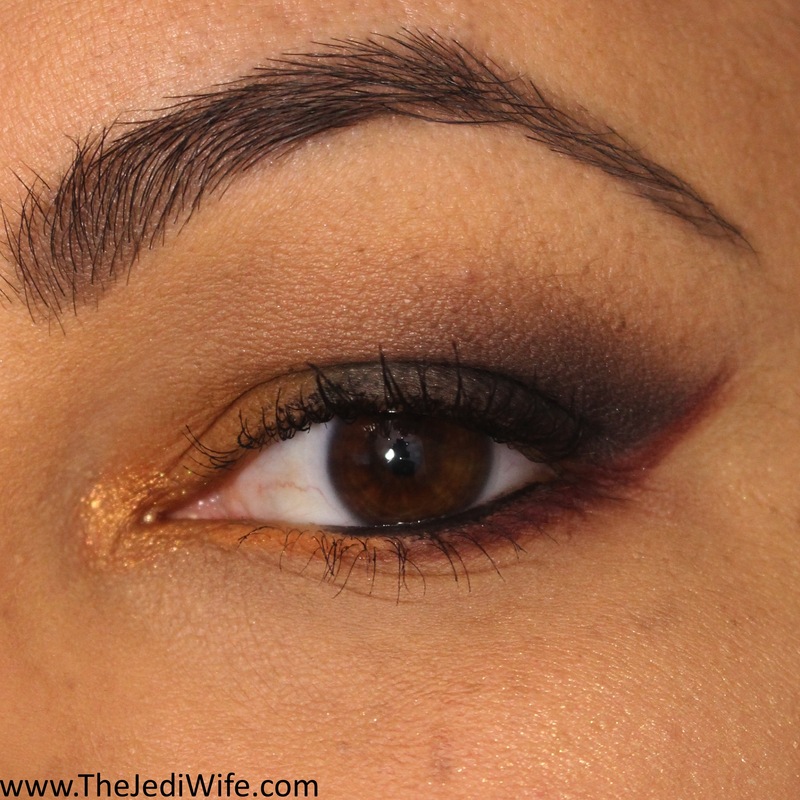 I paired this eye look with ABH Matte Lipstick in the new shade Rogue (more on this below). This particular eye look gave me some trouble, and while I could have (and did after snapping this photo) touched up the bald area with a fresh dab of colour, I did want to show the balding effect. 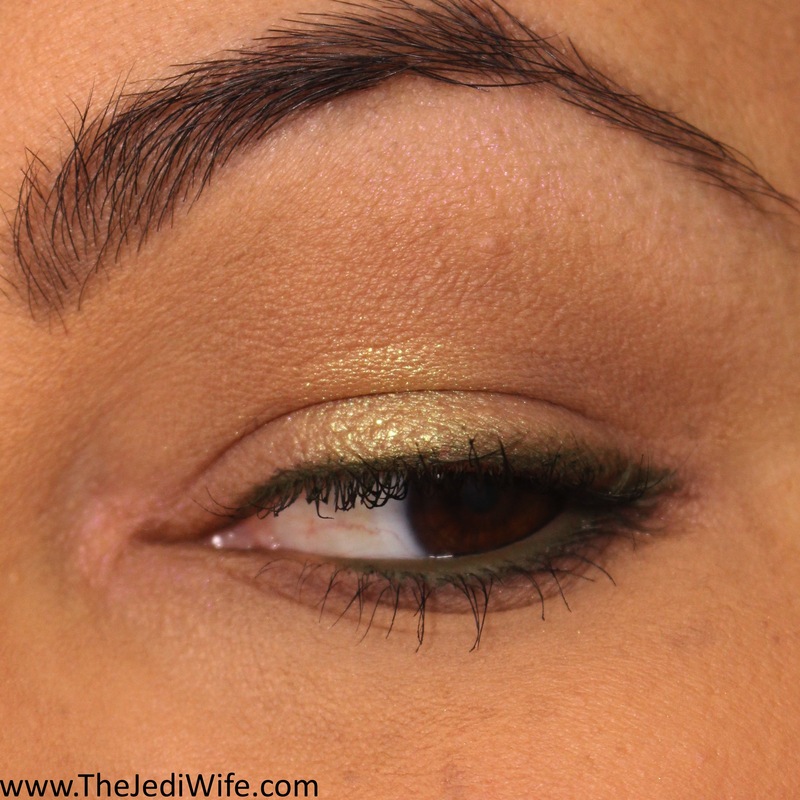 You can also see where All Star didn't want to blend into the rest of my eye look when I used a heavier application. In spite of some of the added difficulties, I still had a lot of fun with this eye look. My budget only had room to allow the purchase of one of the new Matte Lipstick shades (well, not really, but it somehow happened anyway), and I selected Rogue. I really like muted reddish-brown shades, and since I drive a (Nissan) Rogue, it was meant for me. Too much of a stretch? Perhaps, but that still didn't stop me ordering it when it launched! Here is a closer view of Rogue on my lips. This is actually my first ABH Matte Lipstick, so I wasn't too sure what to expect going in with this item. The first thing I noticed was just how firm the lipstick bullet was! I don't know if this is typical of the brand, but I found myself having to push harder on the bullet against my lips than I normally would have liked in order to transfer the shade onto my lips. That being said, the colour is perfection and I was impressed how long it lasted on my lips before needing a touch up. 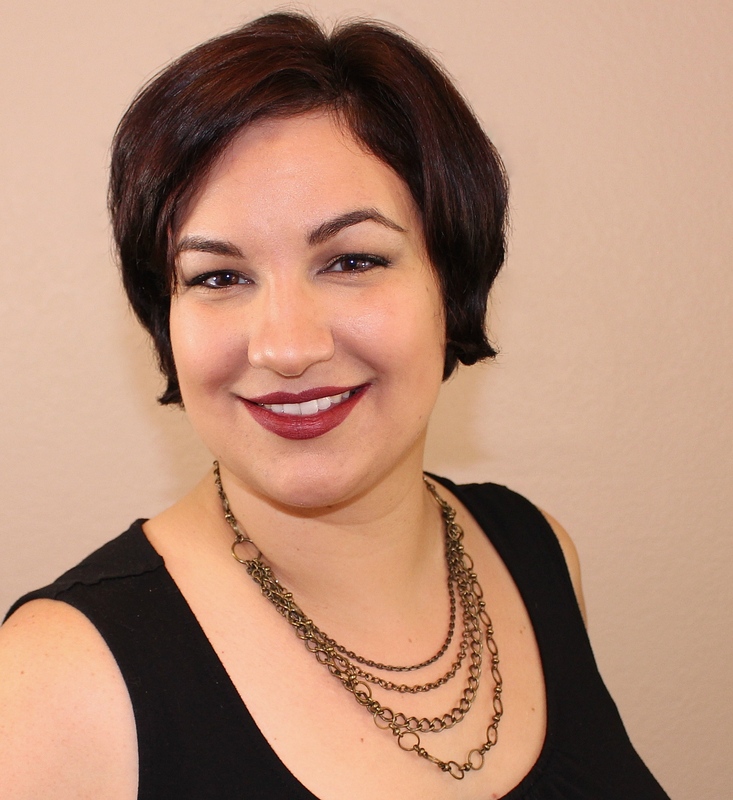 I was able to wear this lipstick for about five hours before I needed to touch up. This was through my cup of coffee and a light meal; I suspect chomping into a burger would have required a touchup much sooner! Even with a firmer bullet than I normally prefer, I really like this colour and have worn it numerous times since purchasing it. In spite of the trepidation I felt going into the testing process, I was really eager to give it as fair an assessment as possible. I had hoped to go into it blind, but I couldn't help but see a lot of the backlash this palette received on social media before mine even arrived. Yes, this palette is pigmented, even more than may actually be necessary. While some shades felt a little powdery to the touch, I did not experience the extreme fallout reported by many. As much as I would like to say my palette was more firmly pressed than others, based on the reviews I watched, I feel technique plays a huge role in this variance. To be clear, I am in NO way, shape, or form insulting the techniques of the YouTube beauty gurus; I certainly have a lot to learn from them myself! The biggest difference I observed is they would either swirl their brushes into the shadow pans or tap into each shade multiple times before transferring colour onto their eyes. Whenever I apply darker or bright shades of any brand, I gently tap into shadow pans once before applying to my eyes, building up from there as desired. Utilizing my normal method, I had very minimal pigment flyaway over the palette itself, and I did not have much fall out during application onto my eyelids. In fact, after the dozen or so uses my palette has seen thus far, there is no pan in sight and my palette still looks quite tidy and gently used. 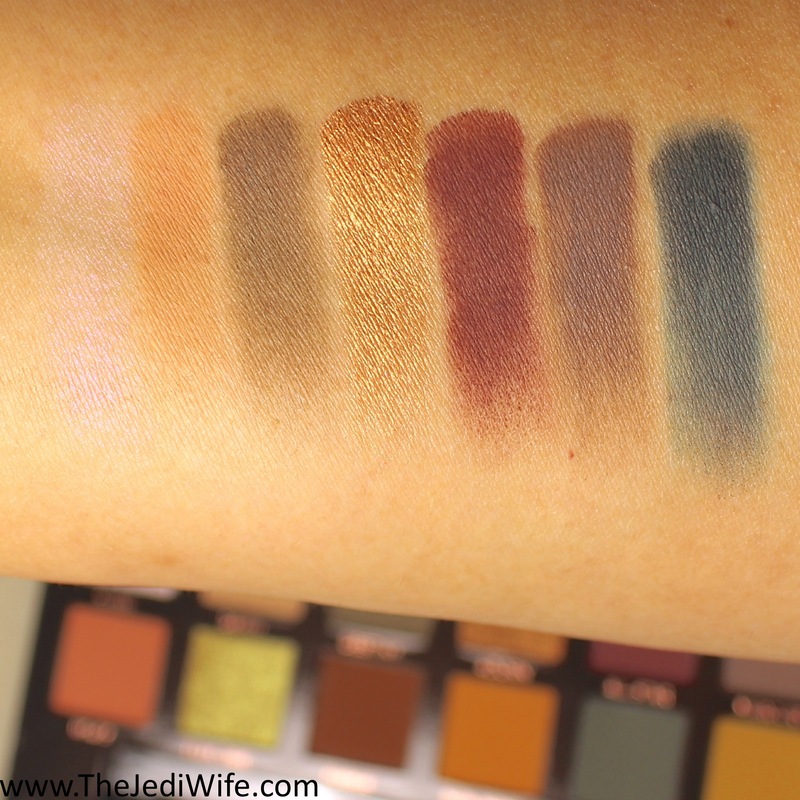 Will Subculture be going on my list of top products from the year? No. It's still a little too pigmented when it comes to some colours (throwing more shade at you, Axis) while Cube in particular just doesn't have the payout I would expect from a palette from a notable brand like Anastasia Beverly Hills. It does have some issues with blendability, although going in with a light hand does seem to make a big difference. 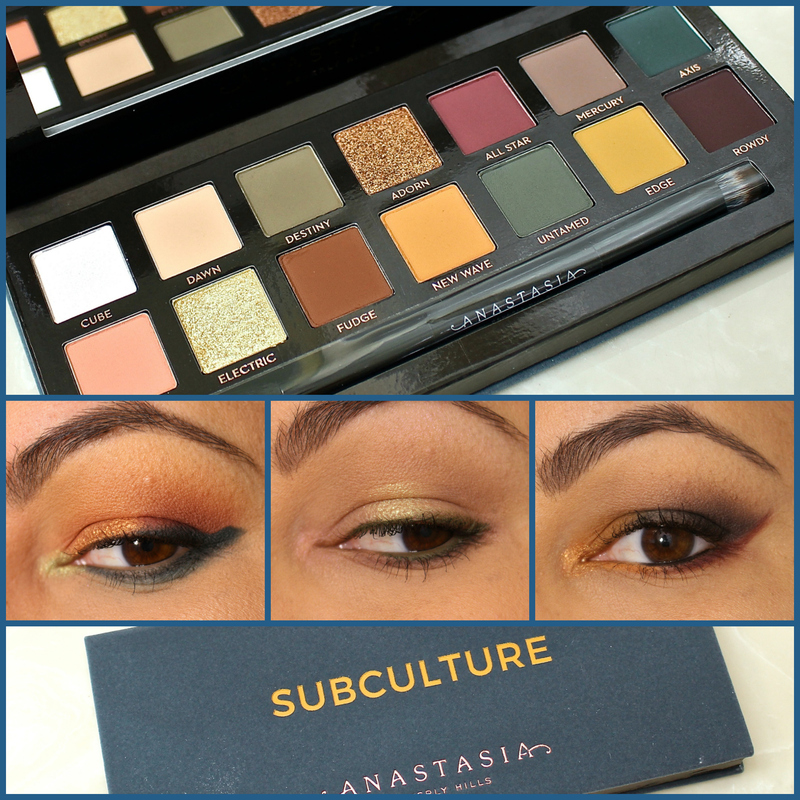 Subculture also won't be going on my list of products I hate either. Yes, it takes extra effort and time, but at the end of the day, I felt beautiful with all the looks I created with this palette. That in itself helped to redeem this palette in my eyes. It is for this reason I have decided to not only keep my palette, but to give away a palette to one lucky reader as well. I think the Subculture palette has a lot of potential to create gorgeous eye looks as long as you use a gentle hand and very precise placement. This precise placement becomes especially important when it comes to working with shades on the opposite end of the colour wheel. Once you start to blend together yellow with purple, red with green, or orange with blue, you're going to see some "muddy" colours, especially since the shades in this palette are so pigmented. Your best bet with the Subculture Palette is to keep these complementary shades separate without blending them together if you wish to keep the shades as true as possible. I personally enjoy playing with muddy, or the more accurate terminology, de-saturated, hues from time to time, but there is definitely an art to it, and I am definitely still learning how to do it properly with this palette. I would have preferred for these to not be such an issue with a $42 palette, but with so much pigmentation, it is just inevitable. In the end, I can't really say "you must have this palette" or "run away and spend your money elsewhere" because this is a complex palette with many nuances that need to be taken into consideration. In the end, only you can decide if the Subculture Palette is work picking up based on your own application techniques, whether or not you may be willing to modify current techniques if needed, and how you want to put together the specific colours to create your eye looks. I may not be able to answer these questions for you, but I hope this blog post helps make it easier for you decide one way or another. 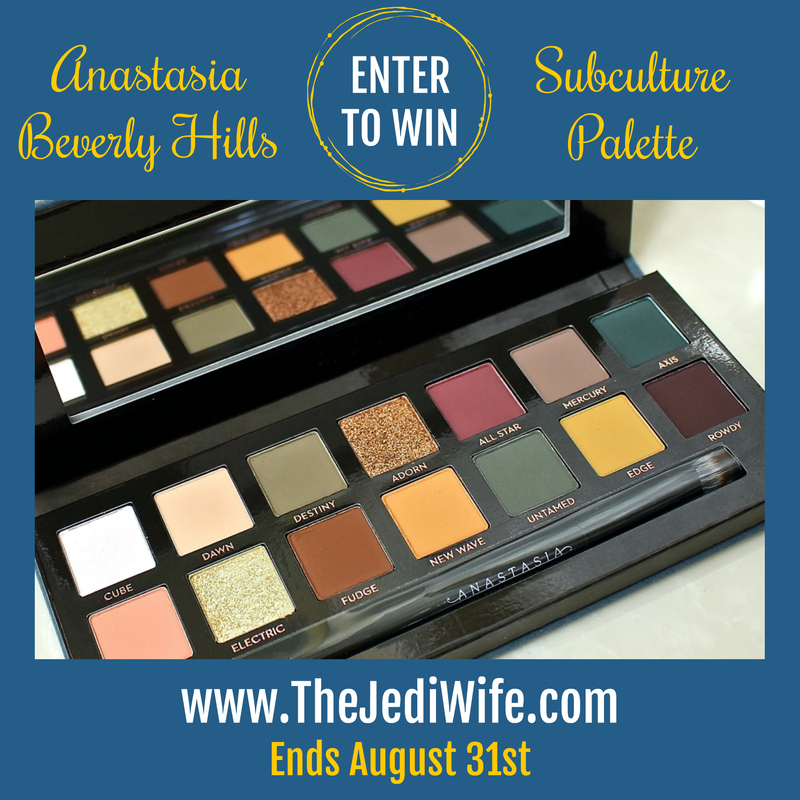 If you'd like to try your luck at winning this palette, please enter my giveaway below! Open Internationally to participants age 18 years and older. Winner will be notified at the end of the giveaway with the provided email address and will have 48 hours to claim their prize. Failure to claim prize within the designated time frame will result in forfeiture of the prize and a new winner selected. Prize will be shipped by myself within 10 days from being claimed. Giveaway prize has been purchase by myself, and this is not sponsored by any parties. Great review. Love the lipstick color! Drama or not, this palette is gorgeous! Everything you did with it suited you. I love this palette! The colors are beautiful and look amazing on you! I need to learn to play with color a lot more, that's for sure! I love the unique mix of grungy type shades in this. Anastacsia is one of my favorite brands. I am entering the giveaway. Also, I LOVE how you do the under eye liner in a wide line and a different color. It looks great! Love the review, so I depth and informative. I love the look - stunning :) I'll certainly be looking out for this brand from now on - I hope its available in the UK! I am in love with every look I've seen with this palette. I've never felt another collection of colors that speak to me as much as Subculture does. Thank you for the giveaway. I will be entering it for sure! Now I am in love with that palette, those colours included are just gorgeous and I would love to have a play with it myself. How pretty! I just love that palette. It has such fabulous colors. Those are some great colors. I like the mix between metallics and solid colors. The lipstick is a shade I would wear. I've heard mixed reviews - I think some can just nail it and adjust their technique like you mentioned. :) I love the metallic glitters you used! STUNNING! Have you ever thought of YouTube & get ready with "me" - I would love to recreate and watch you do your thang! You did a beautiful job though I can see that the last look wasn't quite what you wanted it to be. I saw this palette at Ulta and was surprised at the controversy once I did. I think ABH though is going back to their old formula which is heavenly. I really like the lighter shades and how you used them. I like this shades! How I wish this brand is accessible here in Manila. They are gorgeous! I really love those colors! I need to try it ASAP! Totally entering your giveaway! You did such a good job. This stuff really sells itself. Yellows and chromes look terrible on my yellow undertones, so I had stayed away from this palette. But the looks you've done are all SO FREAKING GORGEOUS! I wish I could pull off these shades! Awesome and thorough review. I appreciate that you addressed all the aspects of the palette as well as how to use it. These are totally your colors! Your choice of lipstick is brilliant. I think I'll pick that up too. Thanks for the generosity of your giveaway. I love your make-up application skills. It's very subtle yet effective! I know you've mentioned that a few of the colours aren't as pigmented however they look amazin! There's so much buzz over ABH products! The colors in this palette are gorgeous and I really want it! I just don't want to spend the money on it until they tweak the formula a bit. That or I'll wait until the next Ulta 20% off sale and get it then. Despite the drama, this palette is super gorgeous. Thanks for the giveaway! I feel like there's always some kind of drama with ABH palettes, but can't deny that it's beautiful! I love your lip color!! You have some great palate choices here. I really like all of the beauty and yet the subtlety of the colors from some of the palates. Great post. I like how analytical you are in this post with the different shades. Good luck to all with the giveaway! Those colors are amazing for the Fall! LOVE! Great giveaway. Love the eye shadow palette nice colors. Best giveaway and i have participated.Thank you. Gorgeous palette! 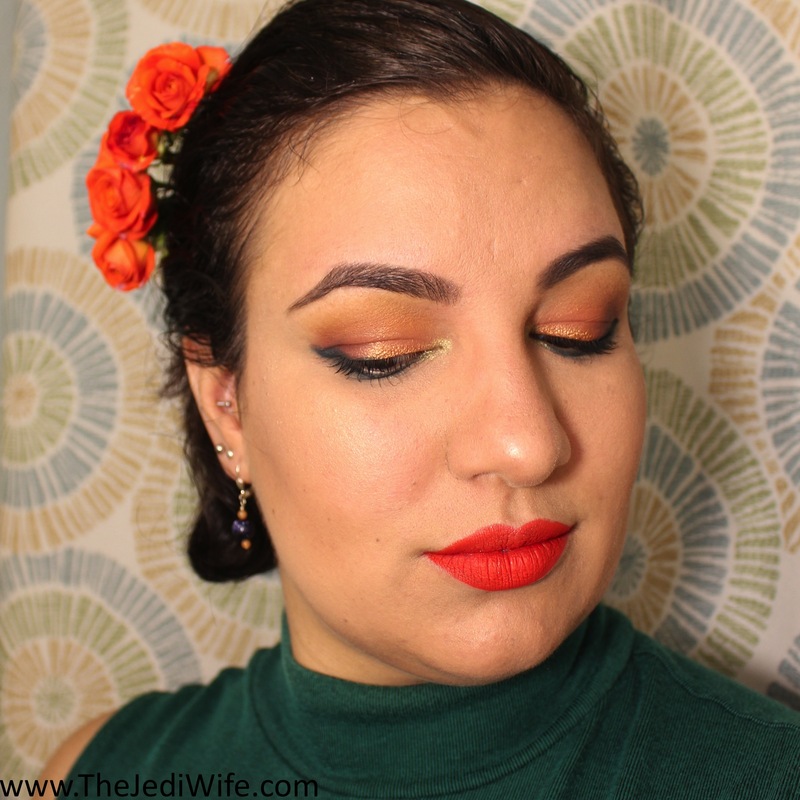 Perfect colors for fall :) Fab giveaway too! Loved your review! I haven't tried any of the matte lipsticks, but I'm dying for Griffin and Smoke. I'm a little obsessed with grays. 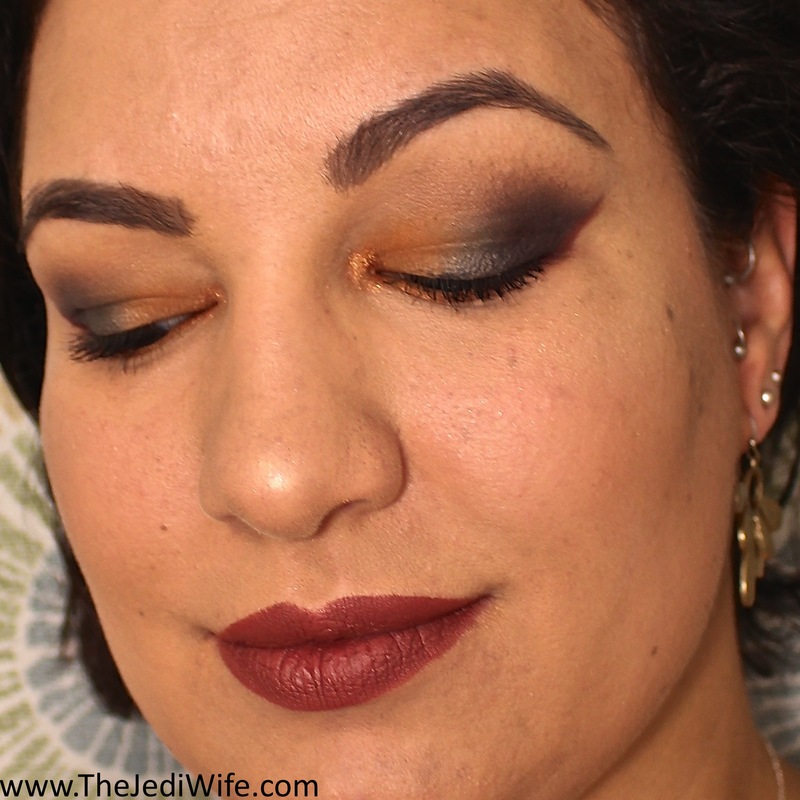 I really like Subculture, too. I agree that it comes down to technique. I've observed brushes being swirled into the palette, too and it's just too pigmented for that. I love the look of the palette, especially the mixture of muted shades and metallics - making it perfect for day and night. I love eye makeup. I haven't heard of this brand before, but I will have to look more into them. I love the colors in the palette. I love the third eye look you posted. So pretty! The lipstick color is gorgeous as well! Thank you for the chance ! Also, I want to say that the ABH lipstick in Spicy really compliments your skin ! This pallete looks gorgeous.I love to have such.Also the lipstick colour is attractive.It's beautiful on you! I have heard a lot of mixed reviews on this palette and it's not one that I would gravitate to in general so I kind of passed on it. But I love the looks you created - gorgeous. Love the look you created. It's both glamorous and wearable. You look stunning. This looks like a gorgeous palette! The colors are really beautiful in this palette. I really love the lipstick. Some nice colors on the palette. Lovely! I especially like the dark blue on the outer corner. The looks you created with this palette are beautiful! I LOVE the colors in the palette. Thanks for a chance to own it and the lipstick. Great giveaway!! Your eye makeup is stunning!! Thanks! you've created a beautiful looks! I love the edgy punk rock looks that could be created from this palette. Have read a ton of negative reviews, however I'm feeling hopeful and would openly give this palette a chance. I enjoyed reading your review and loved the looks you created. Thanks for this gracious giveaway opportunity,lady! I love the look that you created with the palette. The lip color is gorgeous as well. Beautiful Beautiful!! These colors look amazing! You look so pretty! I love this palette! That palette is so darn pretty! I need to get my hands on one! I just love your lip color having said that as much as I like it the color would look horrendous on me. Even with all the mixed reviews and complaints about this palette I think that the colors are just amazing! I would love to do an eye look with Edge or New Wave as the main color! I have Green eyes with gold flecks so I think it will enhance the gold. I really love the colors in this palette. I love the color combination that you used . Ive been wanting to try ab Anastasia palette - the colors are supposed to be so bold and beautiful! This palette is gorgeous. I especially love the gold toned one. I love the colors in this Anastasia palette so does my daughter love how it looks on you. Anastasia Beverly Hills products I have not heard of before. 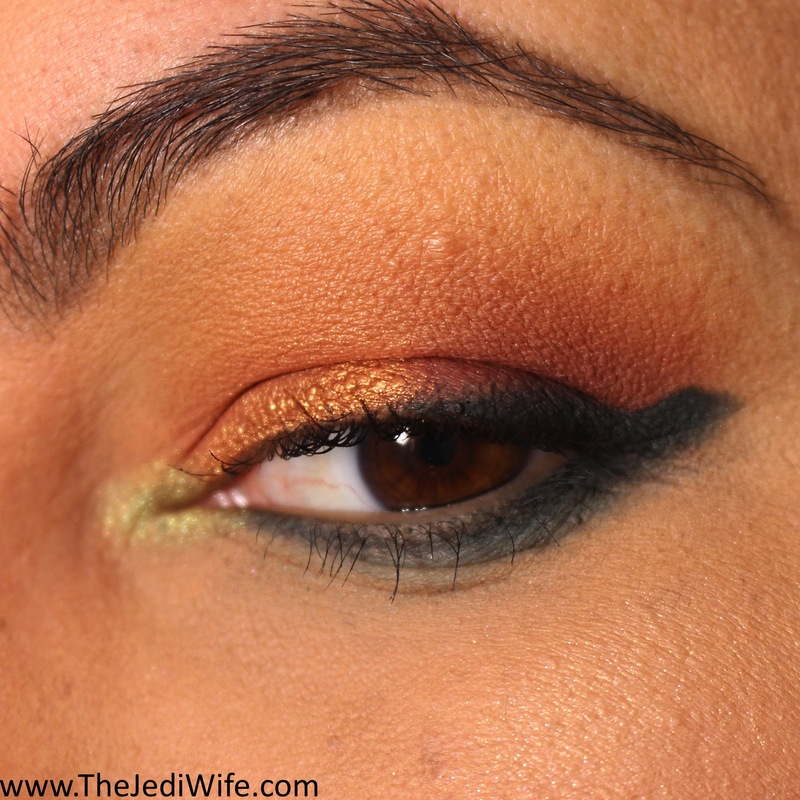 The Subculture Palette is something i would love to try because these are some amazing colors. Thanks for sharing these items.